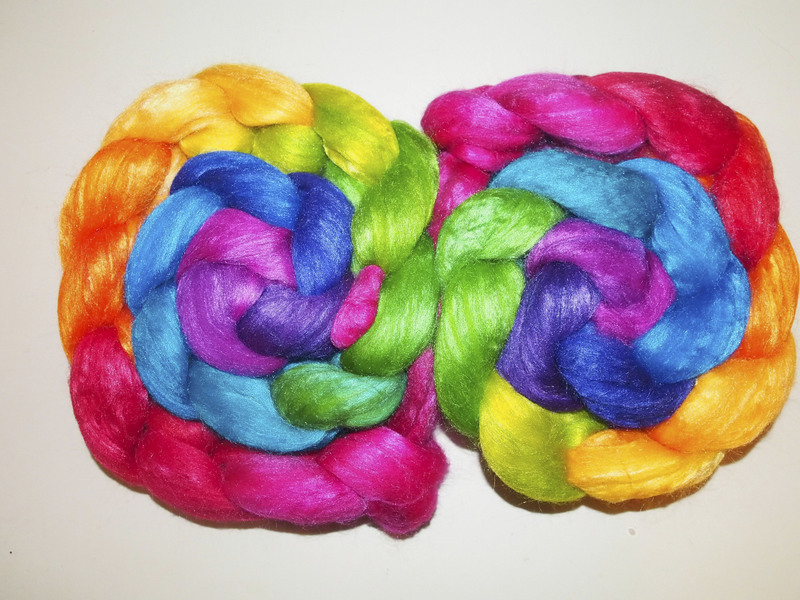 I finished spinning this gradient from Zebisis Designs a couple of weeks ago. It was cool when I washed this so it sat to dry on the bathroom radiator. 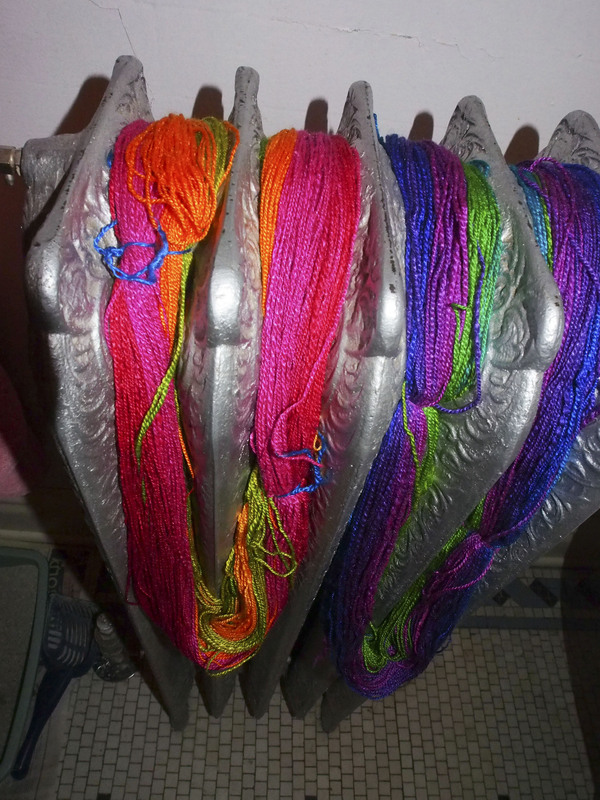 And, it sat skeined up like this until today. It was time to wind it, and now I am looking for the perfect pattern. 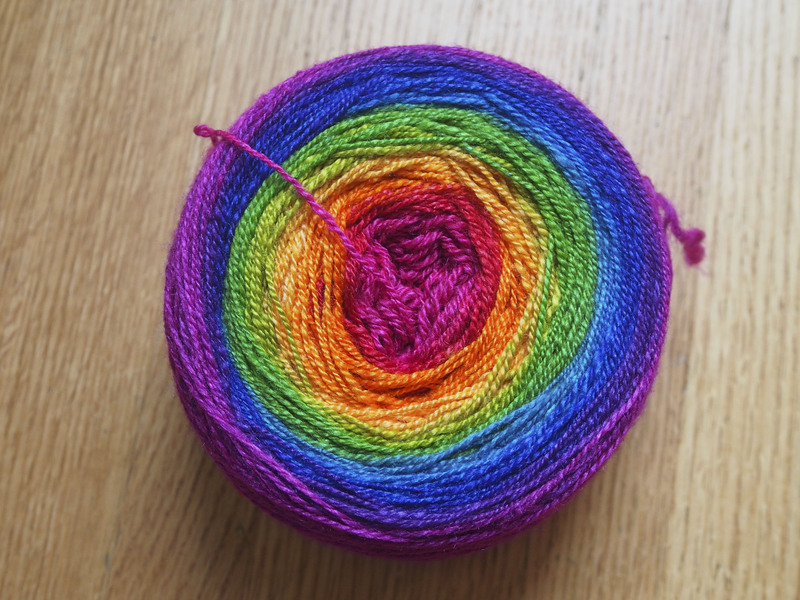 I really want a rectangular scarf/shawl so that each color will take up approximately the same width. The colors show really accurately. 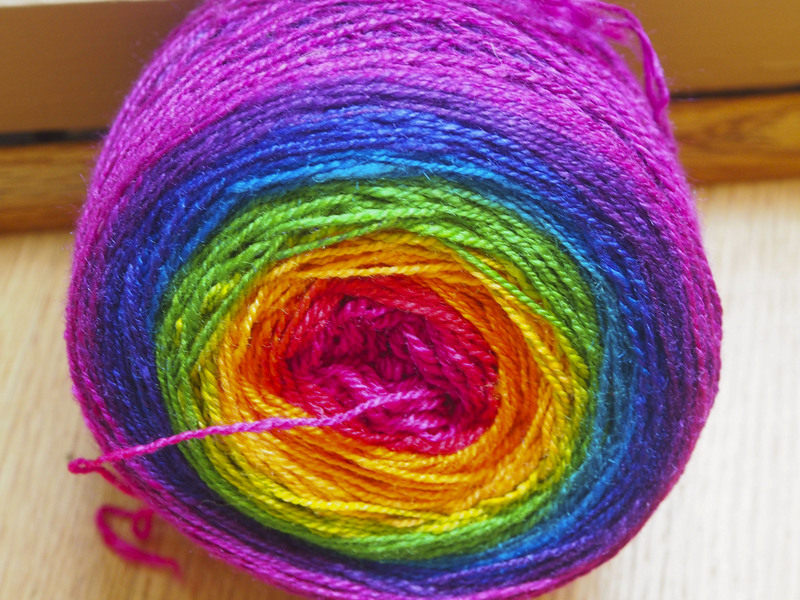 What I cannot show is how incredibly soft and squishy this yarn is, the 50% silk not only makes the colors vibrant and saturated, but gives a sheen and softness to the yarn. The perfect pattern search is on, no applied border, that way I can keep the colors intact. Any suggestions? No pattern suggestions- I just want that yarn! That is gorgeous! Beautiful! As a new spinner, I am so envious :-). And can’t wait till mine looks this amazing. Thanks for the inspiration! 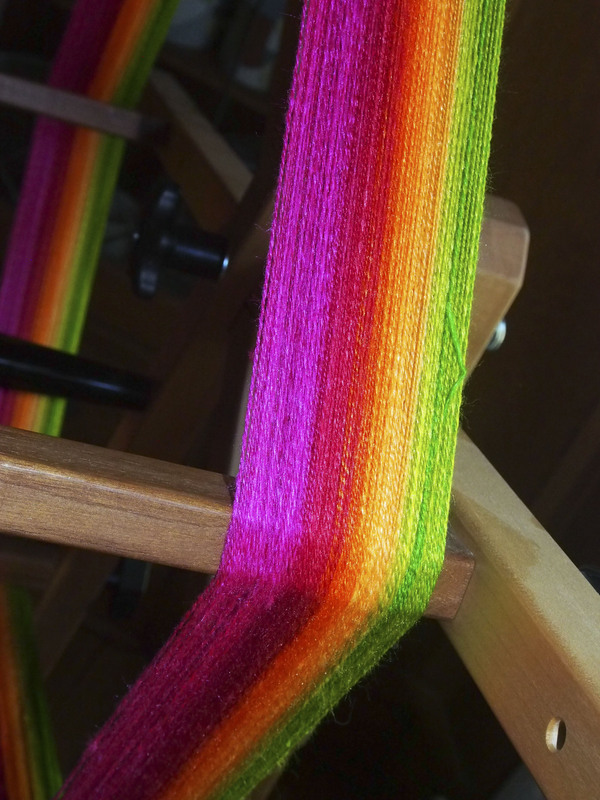 It is always fun to see what you do with these beautiful yarns! 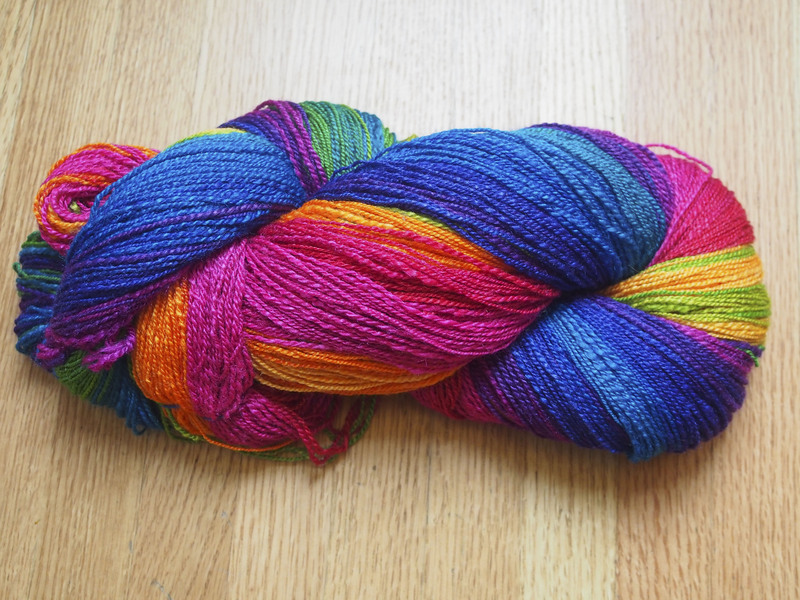 i have really been agonizing over what to knit with this. 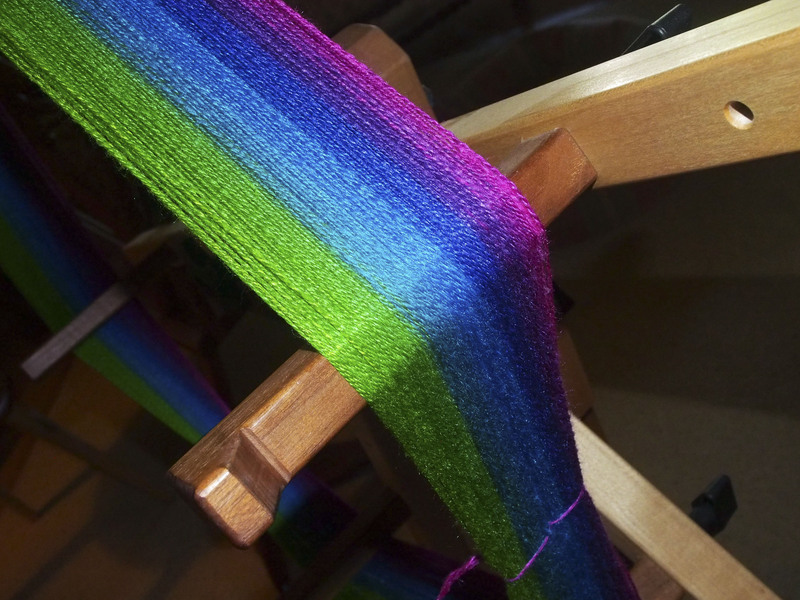 I want the perfect pattern, it may end up being something very plain and simple in the end, just let the colors talk.